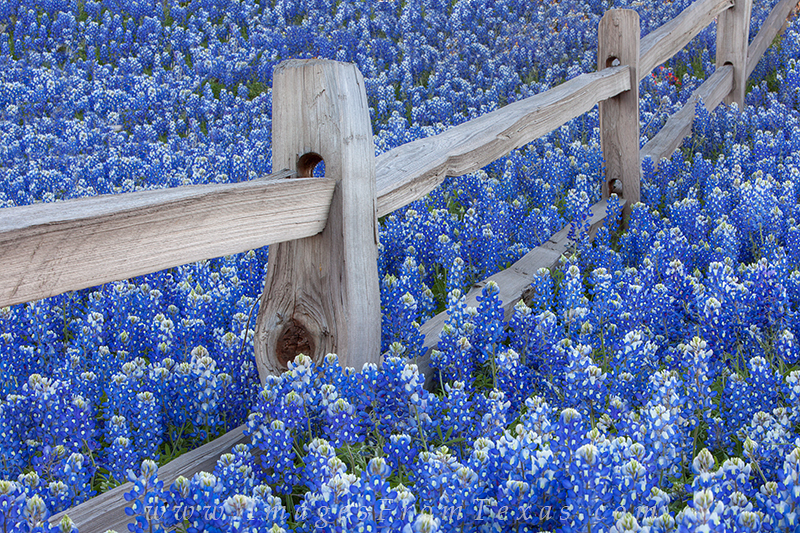 One of my favorite places for close-ups of bluebonnets is an old fence row near Llano, Texas. If you passed by it in wildflower season, you might not even notice because it hides a bit behind a hill. One side is private property, so you have to be respectful of that land, too. In a rainy spring, the bluebonnets start along side of the road and spill into the distant field. In this particular season, the area was a sea of blue, perfect for intimate shots of the flowers and fence. Photo © copyright by Rob Greebon.